I do not have a picture of my parents wedding so I decided to do a little manipulating from two others. My parents were married in October 1943. 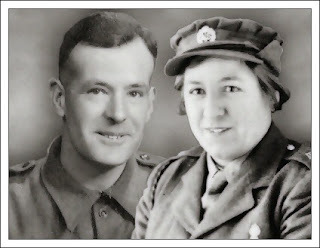 Mum and dad were both in the forces. Lovely to have! My parents married in July that same year. I'm into the genealogy thing too! It's addictive, isn't it? !